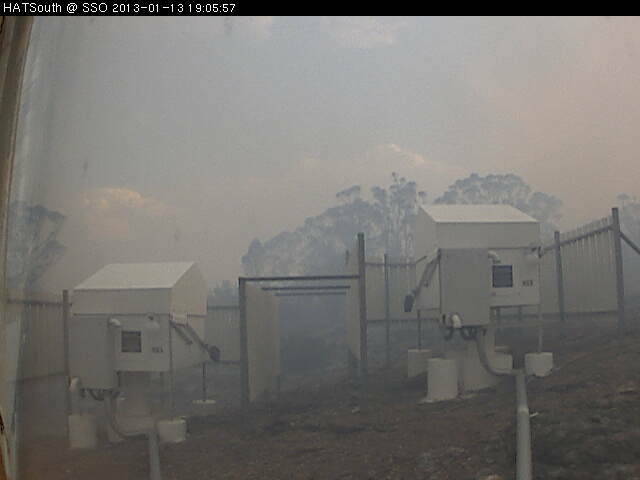 An important Australian observatory appears to have survived a firestorm that really is best told in pictures. 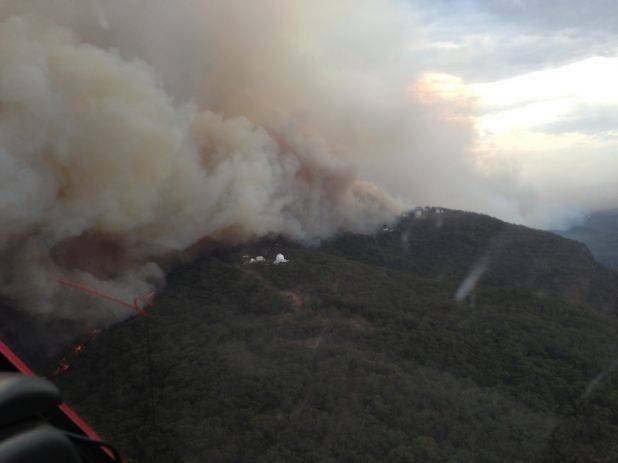 The fire destroyed twelve properties near the outback city of Coonabarrabran. That tiny white dome is the observatory. 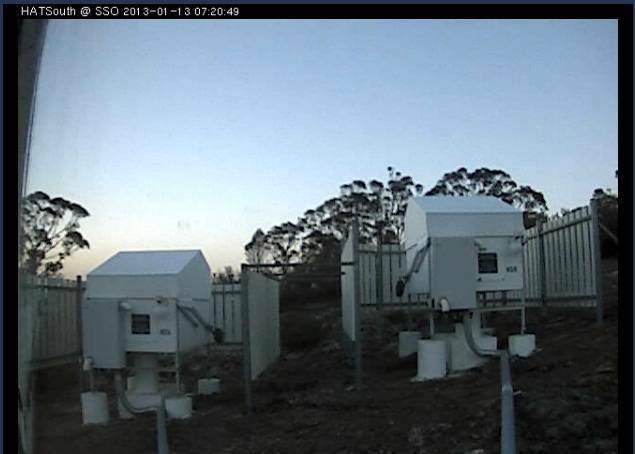 A clear morning at Siding Spring - but note the faint red sky. Note, however, that the case of the Webcam seems to have melted a little during the day - compare the left edge of the first image to the last. 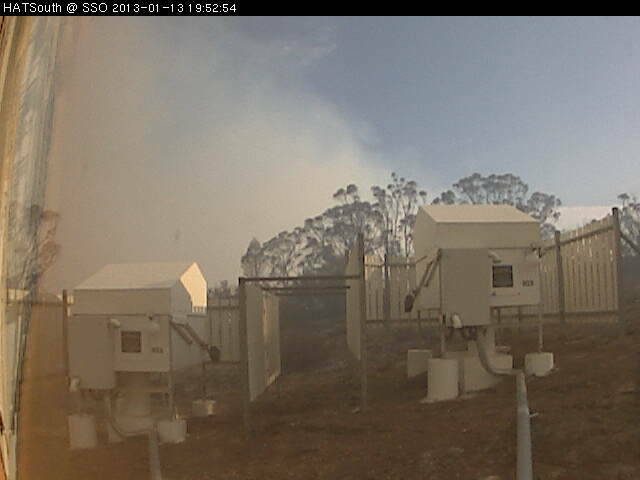 (In 2003, a historic telescope at Mount Stromolo was destroyed in bushfires). 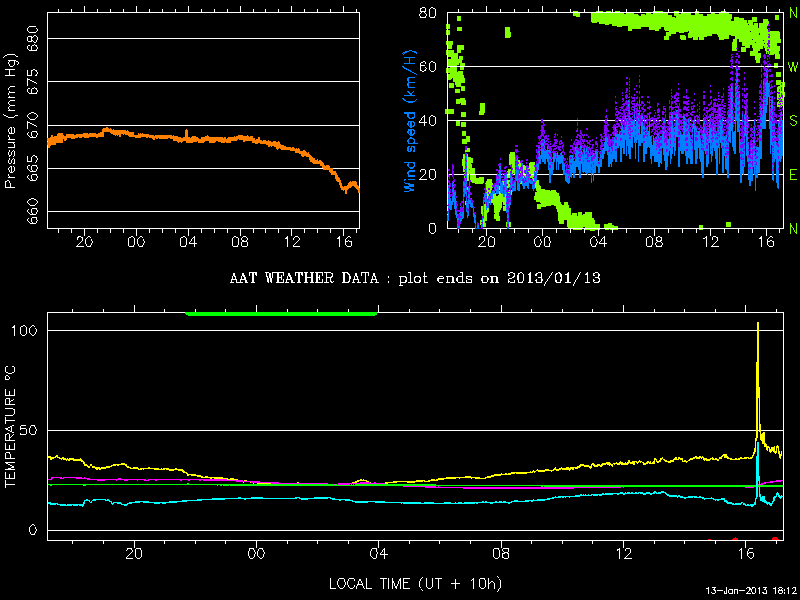 Unfortunately, initial indications that the observatory escaped damage may have been too optimistic. Reports suggest damage to the facility’s visitor centre and a building called The Lodge. 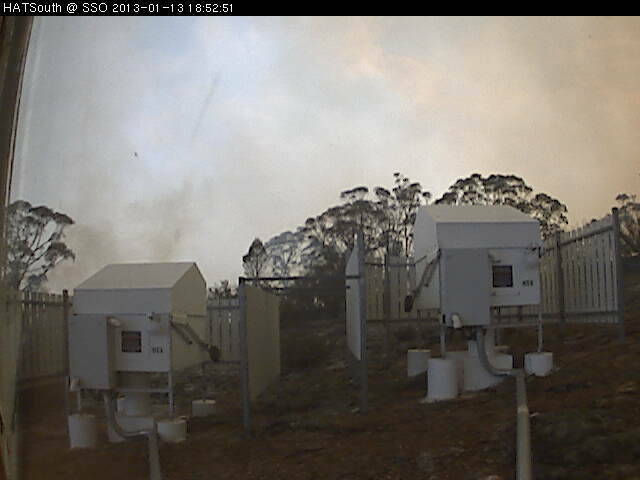 Staffer Amanda Bauer has a terrifying time-lapse of the fire from one of the cameras here.